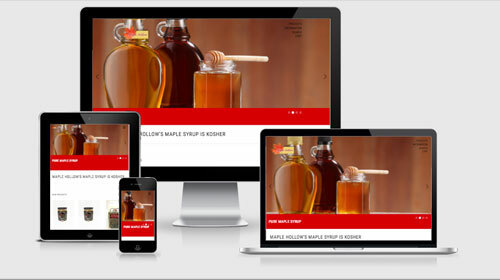 Virtual Vision recently re-designed Maple Hollow Syrup online store. Maple Hollow Syrup site sells a variety of syrup, pure maple sugar, honey, pancake mixes and more! Click Here, to view the new online store.